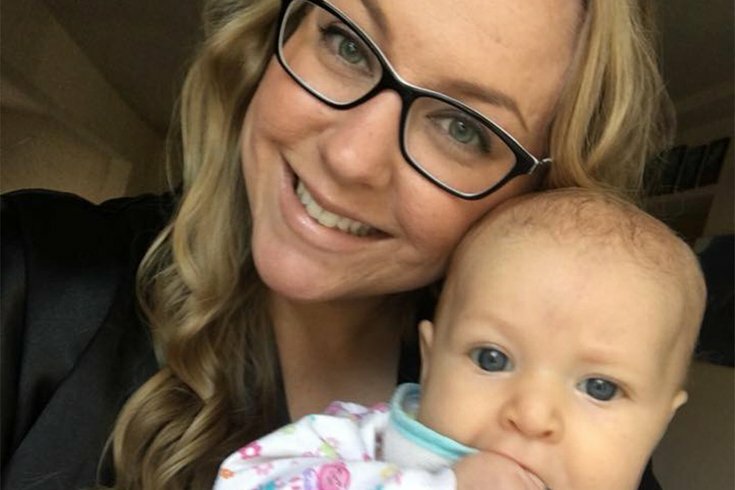 Nurse calls cops after new mom seeks help for depression. Right call? Jessica Porten, in a photo from Facebook. She read online that this could be a symptom of postpartum depression — a condition that affects up to 1 in 7 women during or after pregnancy, according to the American Psychological Association. In California, where Porten lives, those rates are even higher, spurring state lawmakers to introduce a package of bills to improve mental health screening and treatment for new moms. Porten said she hopes the legislation will help women avoid what she went through. She went to Capital OB/GYN, a women’s clinic in Sacramento, Calif., that accepts her Medicaid coverage as payment, to talk about medication options and therapy. Porten admitted to the nurse that she was having some violent thoughts. Porten said the nurse’s manner toward her changed at that point. “I could see in that moment that she stopped listening to me,” Porten said. The nurse called the police. The police escorted Porten and her baby to a nearby emergency room. Hospital staff made her change into a gown and took her purse, but they let her keep her diaper bag for the baby. They put them both in a room, under constant watch, though the hospital staff was sympathetic, Porten said. Finally, at midnight, 10 hours after she first got to the doctor’s office, a social worker sent her home. Porten wrote on Facebook that the whole thing made her feel like a criminal. Administrators at Capital OB/GYN declined to comment. Gary Zavoral, a spokesman for Sutter Health, which runs the emergency room where Porten was taken, said once a patient arrives in the ER for assessment, hospital staff must follow strict protocols. When patients reference violent thoughts, it forces doctors to think about things in a different way, said Dr. Melanie Thomas, a psychiatrist at the University of California-San Francisco and Zuckerberg San Francisco General Hospital. California law allows doctors to involuntarily confine a person with a mental disorder if they are a danger to themselves or others. But Thomas said what constitutes imminent danger can be vague. “You can imagine a provider, a social worker, any number of people might interpret that phrase in different ways, about what is necessary to report and what isn’t,” she said. The laws and medical protocols don’t always line up, Thomas said. There have been times she felt asked to rely on legal reasoning over her clinical judgment. “The fragmented aspects of our system of care make it difficult to get women the help that they really want,” Thomas said. That’s one reason lawmakers in Sacramento are introducing a package of bills to specifically address maternal mental health. Assemblyman Brian Maienschein (R-San Diego) backs two of them. One would require doctors to screen new moms for depression — under current law in California, it’s voluntary. Maienschein’s other bill would direct the state to tap into a new federal pot of money set aside for postpartum programs and awareness campaigns. It was established under the 21st Century Cures Act, which was passed in the final months of the Obama administration. The legislation has given Jessica Porten a new purpose. People have told her she should sue Capital OB/GYN for calling the police. But she rejected that idea. Instead, Porten said she’ll advocate to get the new bills passed in California. She thinks that’s the way to help the clinic’s physicians and nurses do a better job of helping new moms get the care they need. This story is part a reporting partnership that includes KQED, NPR and Kaiser Health News.